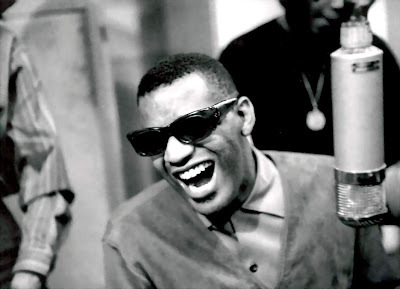 Ray Charles died six years ago today, at age 73. I was introduced to him at an early age by my father. His favorite record of Charles' was Modern Sounds In Country and Western Music, which was originally released in 1962 - the year my father graduated from high school. (For those playing at home, 1962 is also the year in which the characters of American Graffiti, written and directed by George Lucas, graduated from high school, as well.). Ray started out trying to imitate Nat King Cole, but, fortunately for us, he abandoned that effort. He went on to introduce us to the great David "Fathead" Newman, who accompanied Ray on an early instrumental recording; he offered us such great lyrics as "she brings my coffee in my favorite cup" and "If Dr.Foster has got her, then I know I'm through--because he's got medicine and money, too"; and he had two of the best country and western albums ever, including the songs "Making Believe" and "Bye Bye Love". 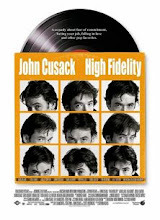 However, careers have their low moments as his recording of "Eleanor Rigby" shows. Ray had many songs which other artists simply could not match. Only Jerry Lee Lewis was able to also have a hit with Ray's famous "What'd I Say". If you haven't ever heard Ray's update version of "Eleanor Rigby" or his "You Don't Know Me," rush down to your local record store and purchase a disc immediately. May he rest in peace.